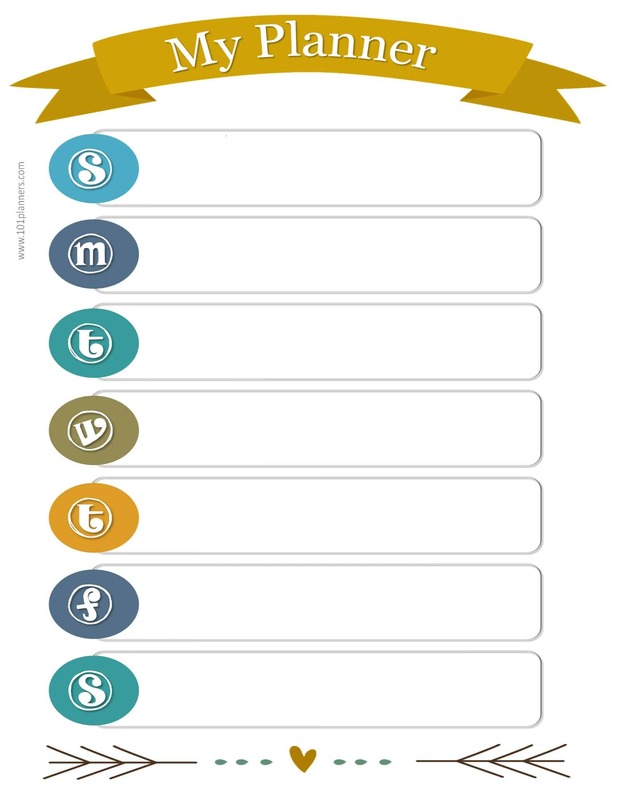 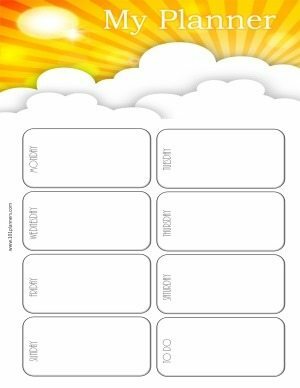 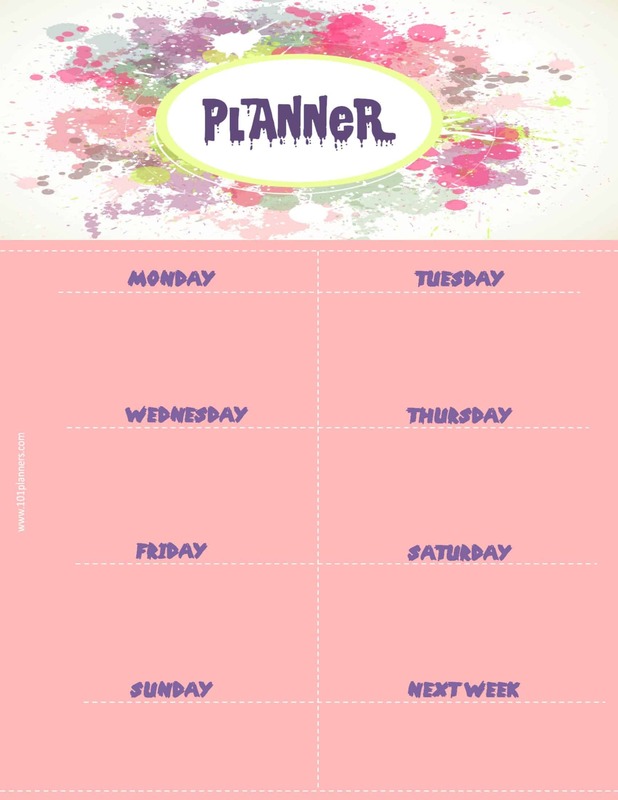 Either print one of the ready-made weekly planners below or create your own weekly planner template by selecting any of the 101 backgrounds and any of the weekly planner layouts. 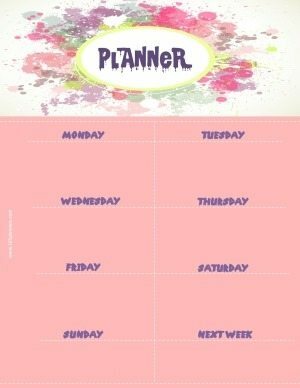 Didn’t find a design you like? 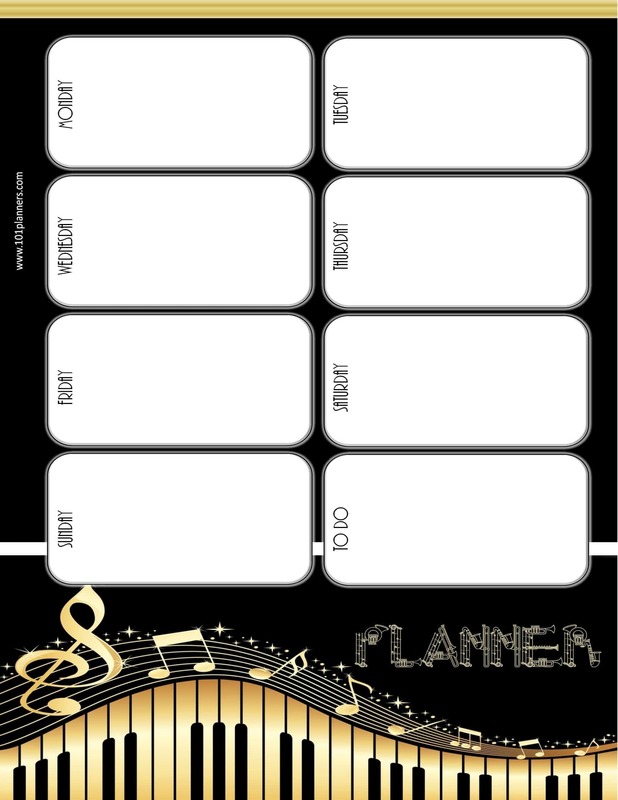 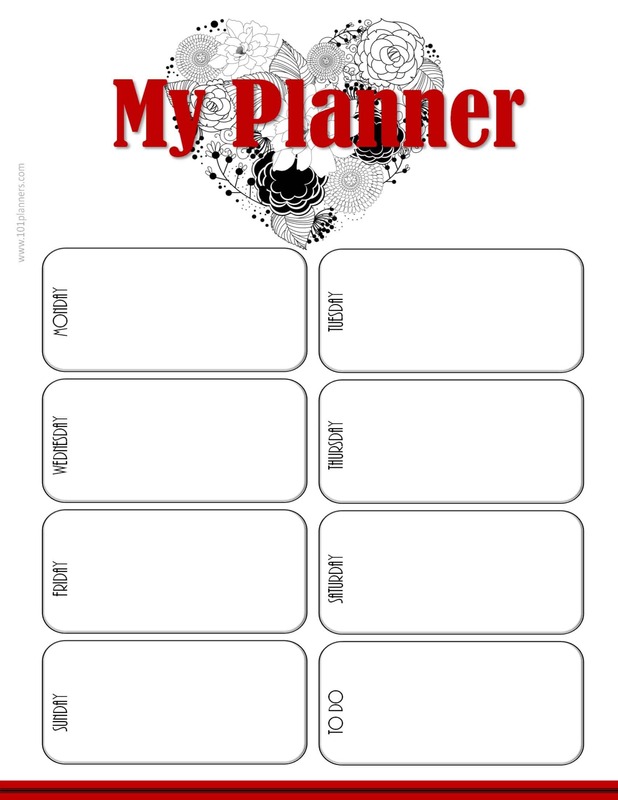 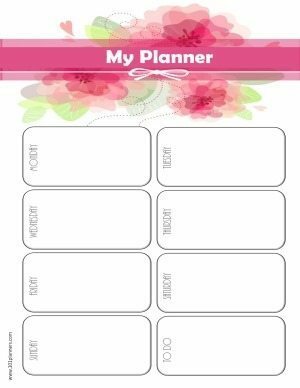 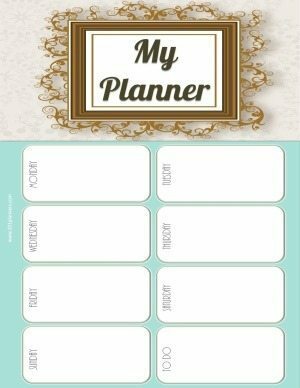 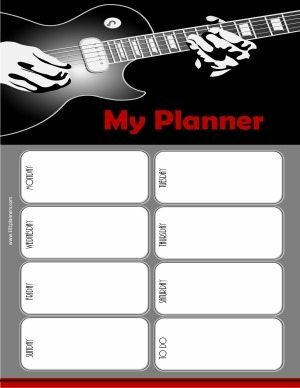 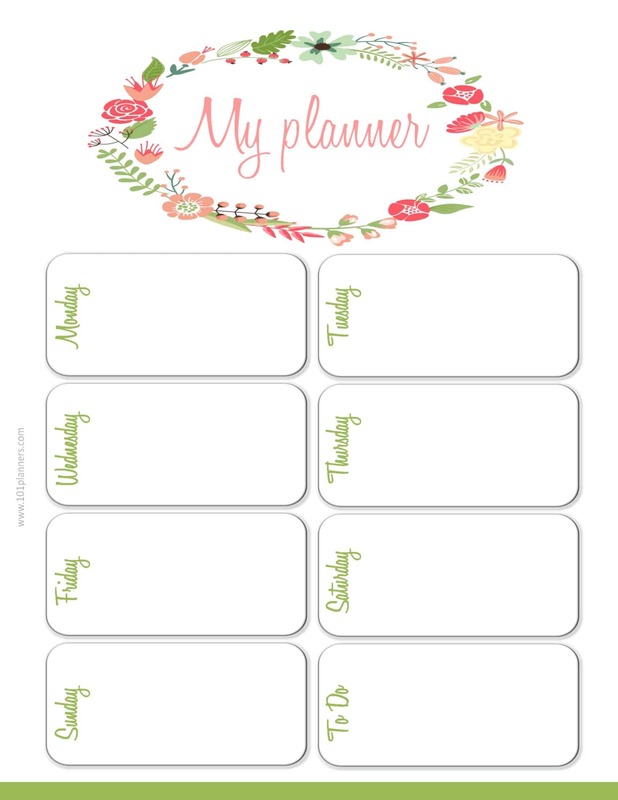 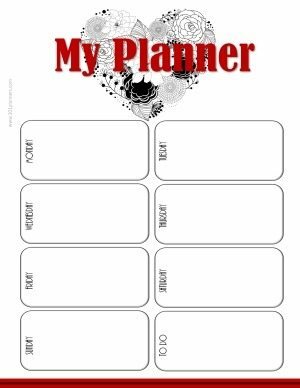 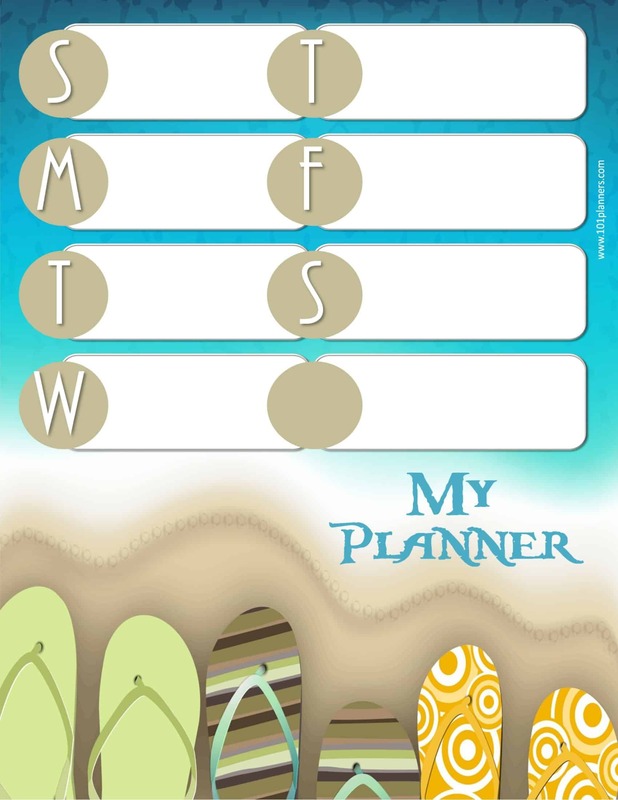 Click the button below to open our free planner maker to make your own custom weekly planner with 101 different borders and many different weekly planner templates. 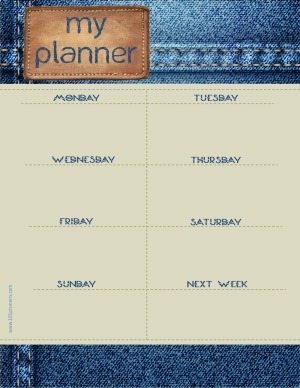 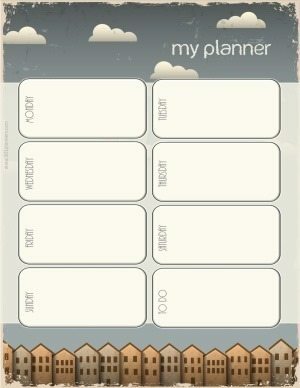 You can also make the weekly planner in any size to fit any planner. 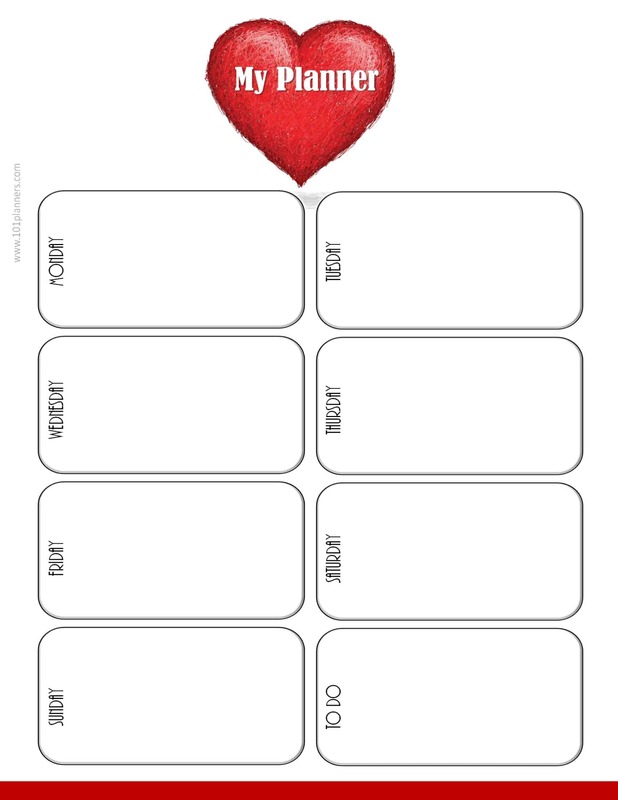 Select a template from the options above. 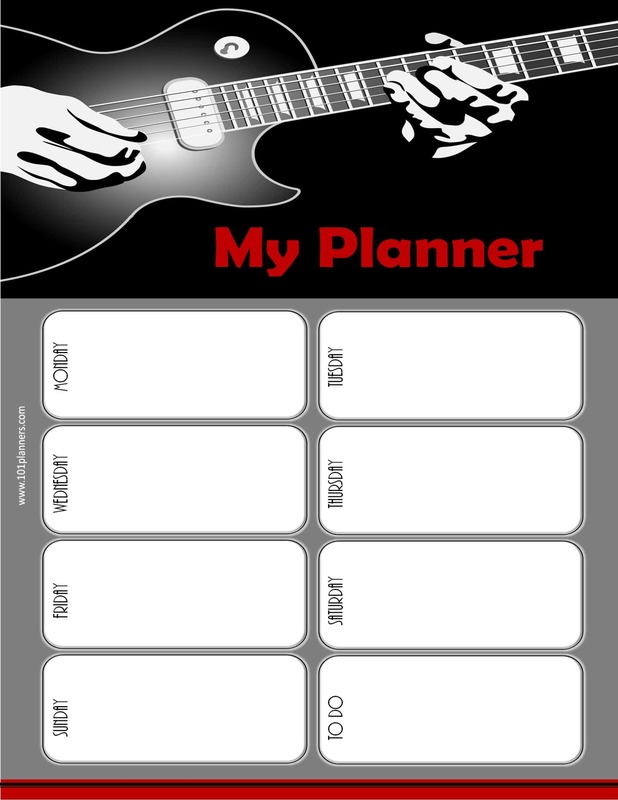 There are various designs available. 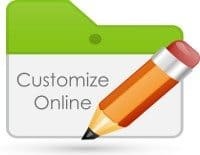 Double click on “enter your text” and replace with your own text. 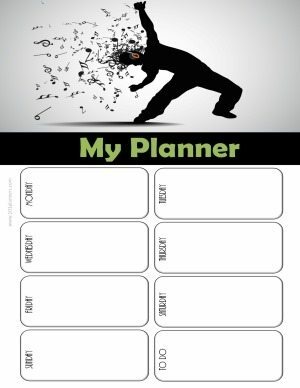 Erase the dummy text that you do not want to use. 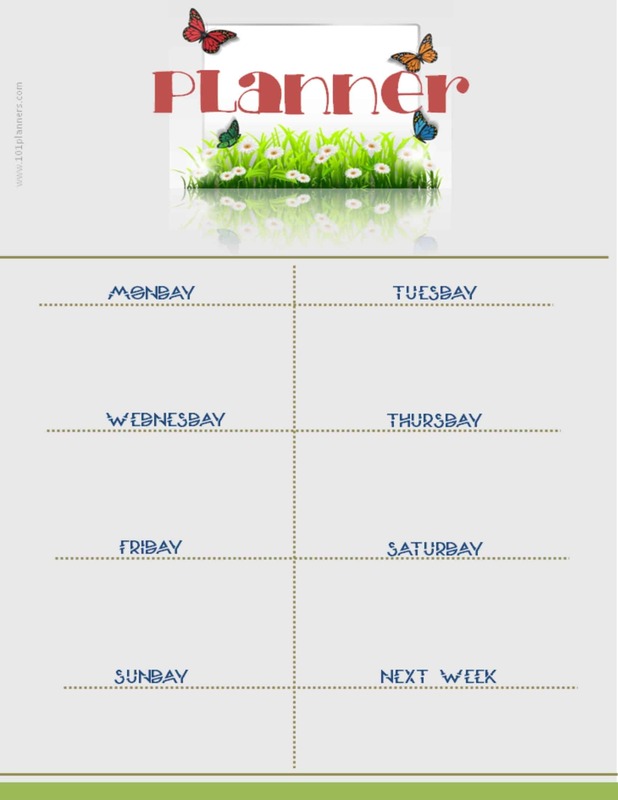 You can also move the text around so if you need more than one line on one day of the week then you can move text from a day that you do not want to write anything. 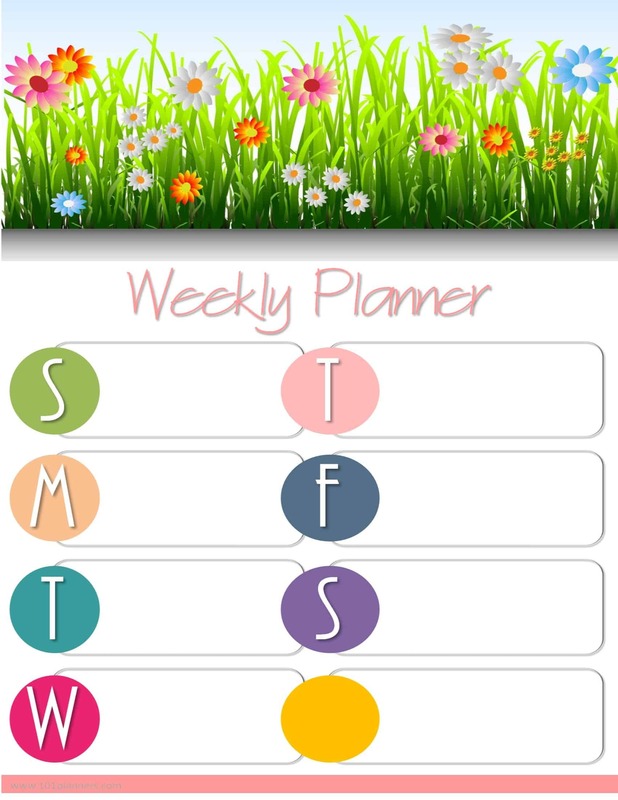 If you still require additional text then click on the A to add more text. 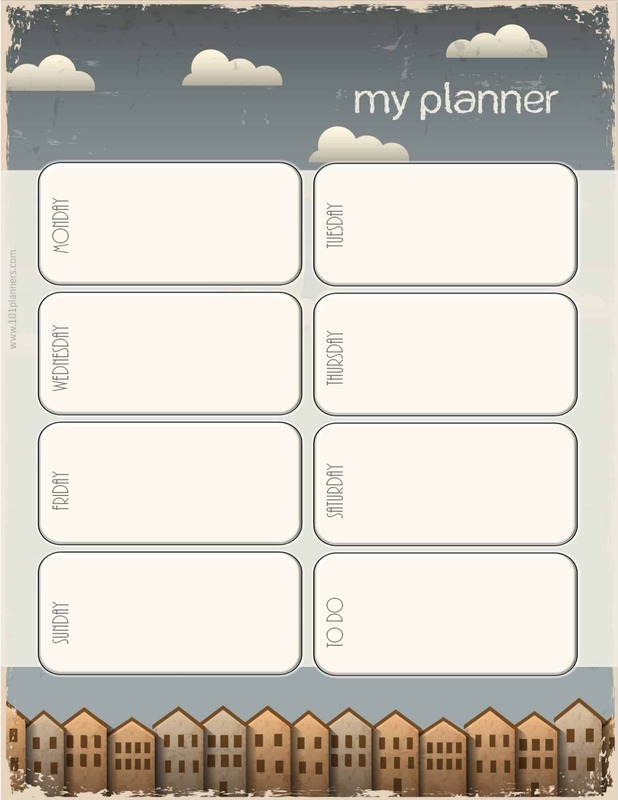 Drag the text to the correct location. 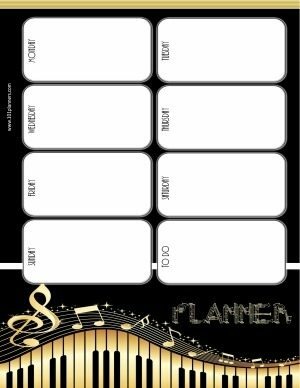 Select any of the 8 planner sizes. 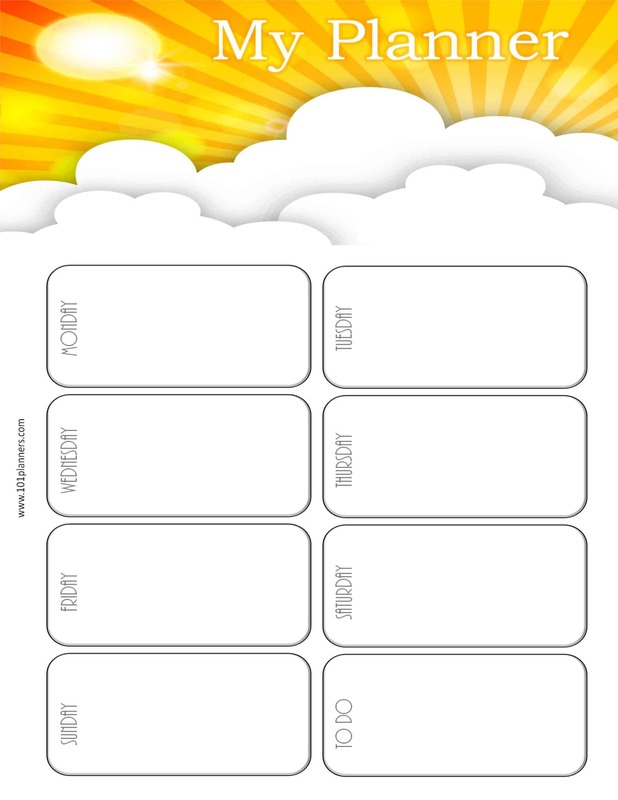 Select on any of the 101 background templates. 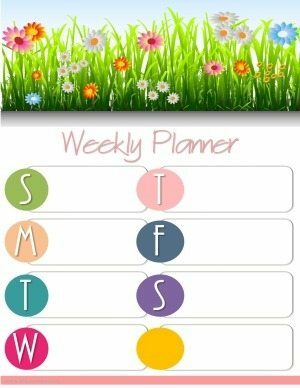 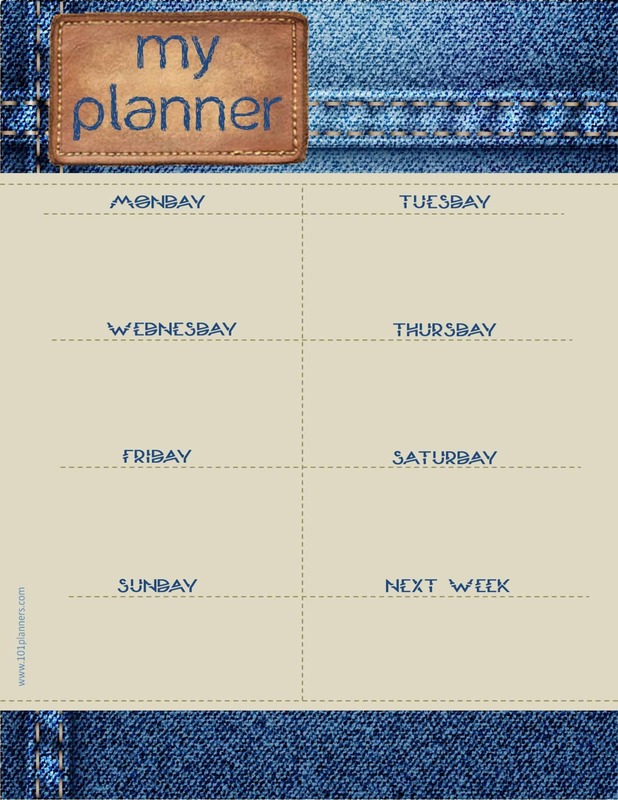 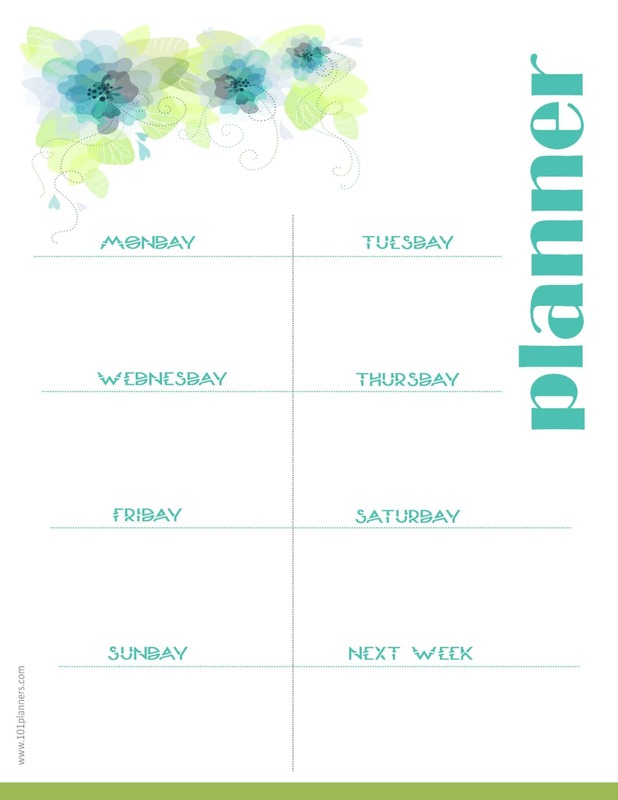 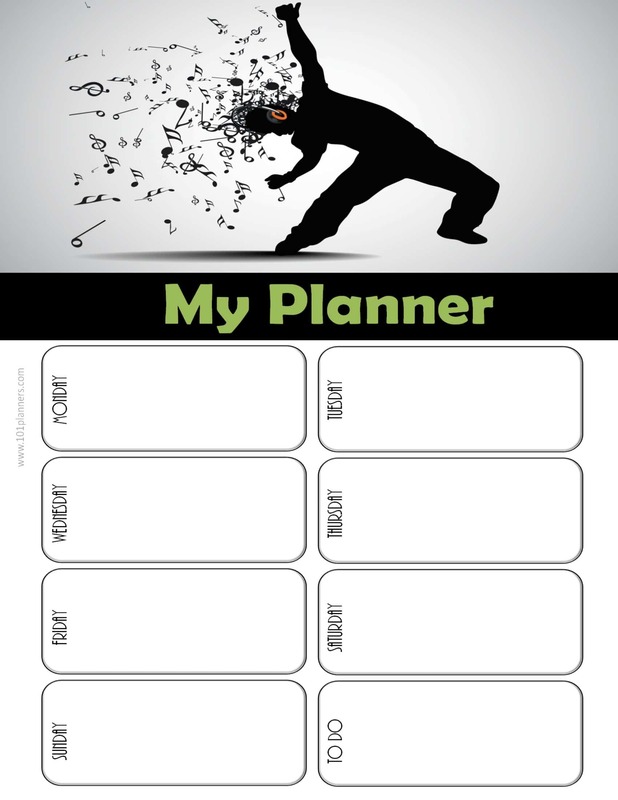 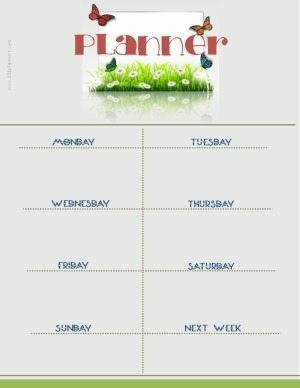 Select the weekly planner template (click on planner inserts -> weekly planner). 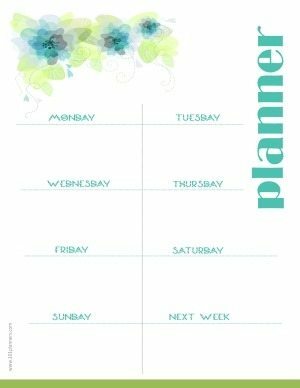 If your weekly schedule doesn’t change each week then you might want to laminate the printable planner so that it lasts all year. 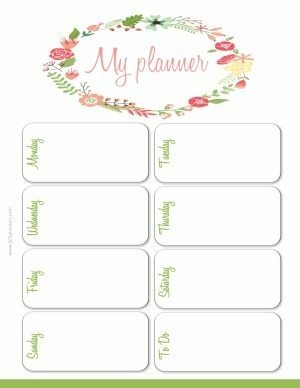 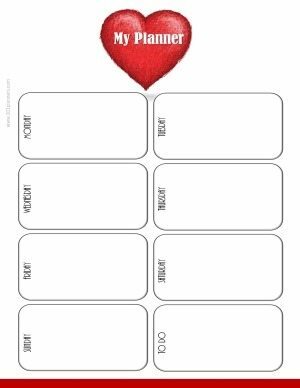 You can also laminate an empty template with no text and add your appointments and meetings each week with an erasable marker.